World’s Finest: The Collection is a DC Comic-themed box by CultureFly that is mailed quarterly to its subscribers. 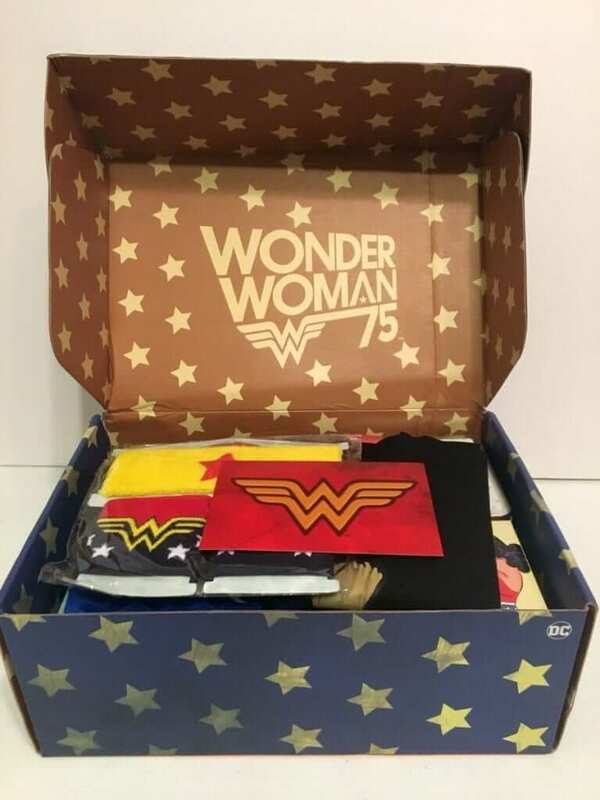 The contents of the box is a true mystery but all the items are completely exclusive and the box features different DC Comics superheroes and super-villains. The box ships at the end of December, March, July, and September. 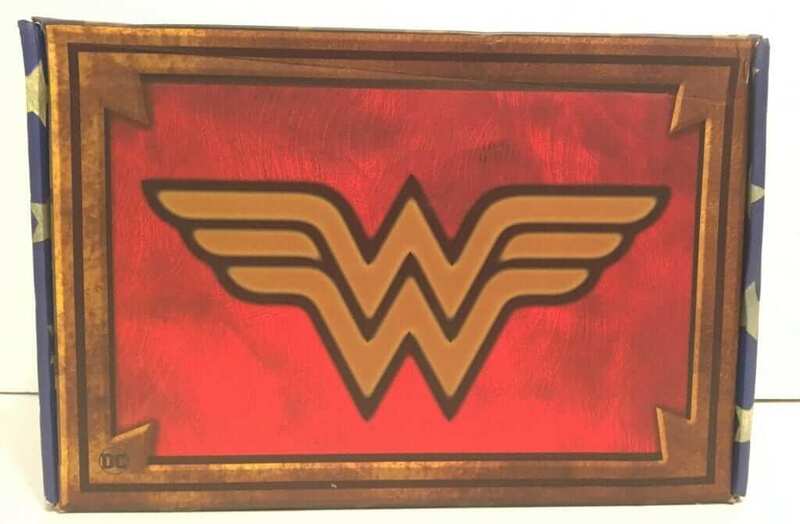 Want to see what came in the Wonder Woman box? Let’s take a look! 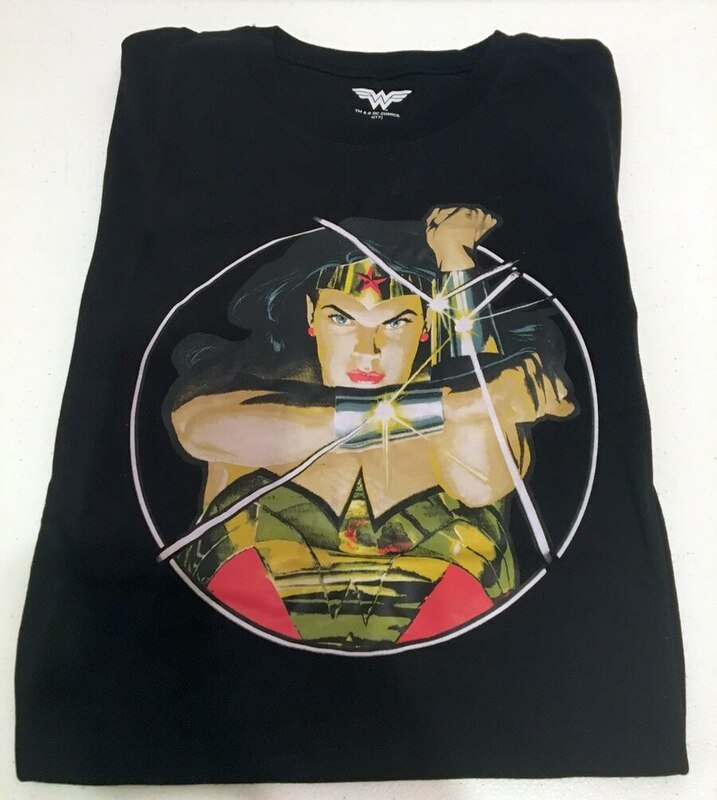 This is an awesome t-shirt that any Wonder Woman fan would love to wear! It is a simple, yet sharp design with a black t-shirt and a graphic the lady hero herself on the front. 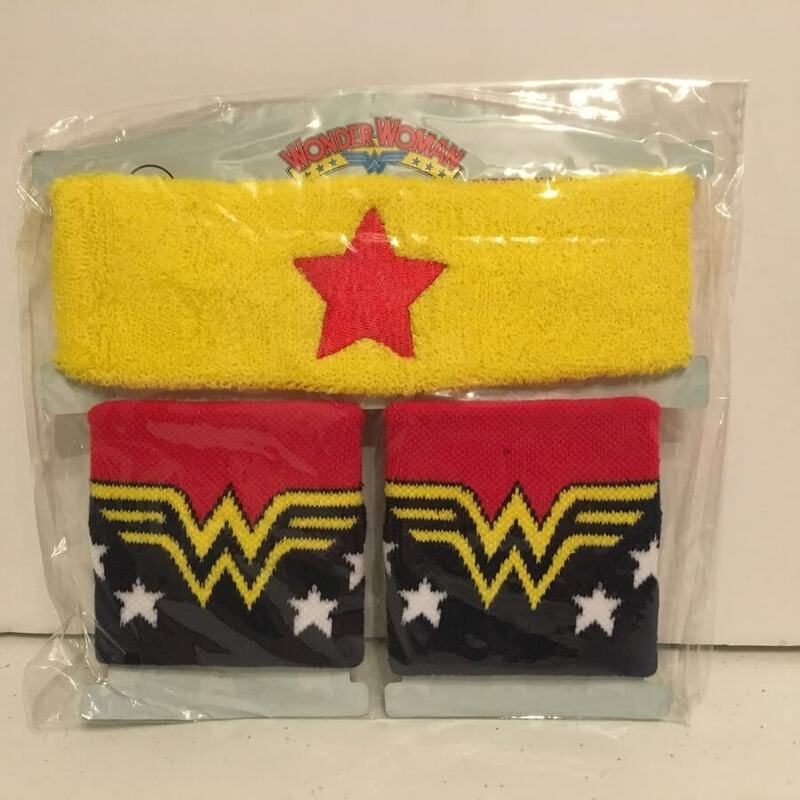 Okay, back in the day when I was a child and my brother and I pretended to be the Superfriends all the time, I would have loved to had this headband and armbands to dress up for my Wonder Woman role. 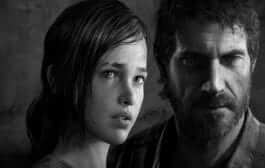 I was usually her or we would team up and be the Wonder Twins…Remember them? 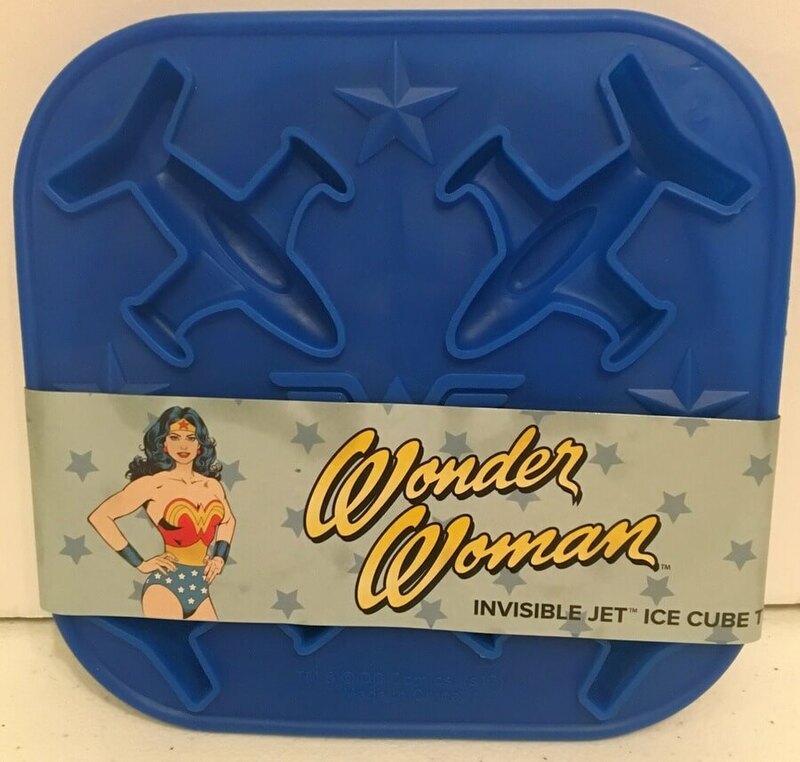 So, how about some invisible jet ice cubes? That would be fun! Except I would need more than 4 ice cubes for my drink. Of course, this box would not be complete without a vinyl figure of Wonder Woman. This figure is made by CultureFly and stands about 6 1/2 inches tall. It seems to be made with good quality and would make a great addition to your vinyl figure collection. 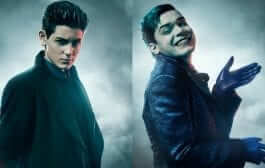 I thought this was pretty cool. It’s a stack of postcards in a tin card holder. Not only do you have a choice of awesome postcards to send to your friends, you have this tin that can be used for several things once it no longer holds the post cards. Maybe you need something to store pictures or other memorabilia in? This would be ideal. 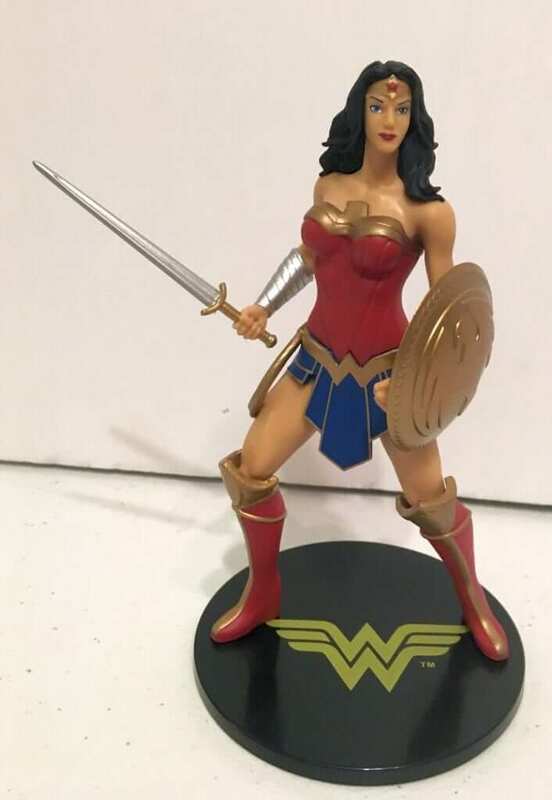 Another great item in this box is this Wonder Woman Sword & Shield Letter Opener. It makes a nice desk decoration and when you need to open a letter, it’s ready and waiting. Take a look at this coffee mug! 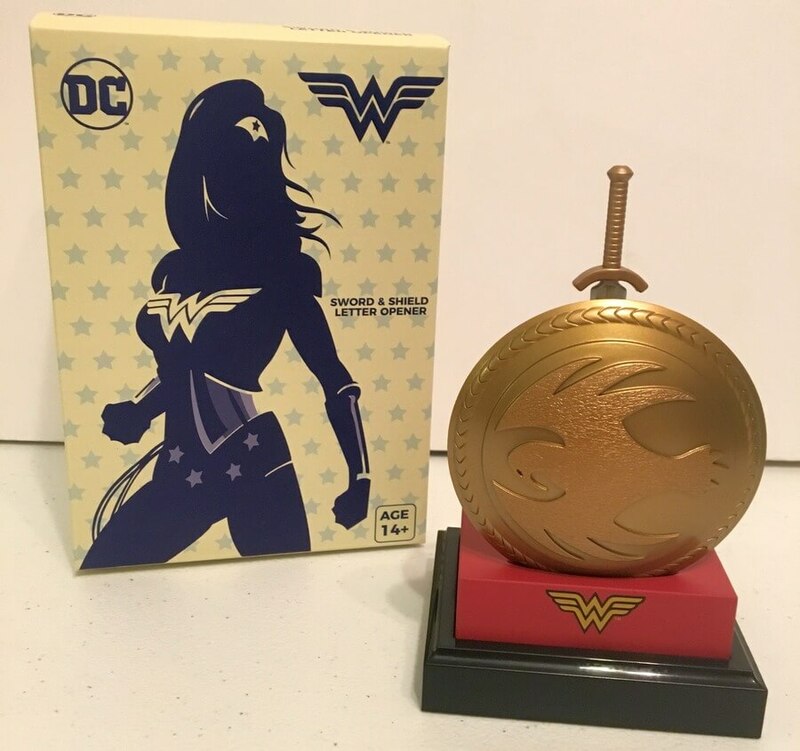 It’s very shiny with its gold coloring and the Wonder Woman logo on it. Pretty Nice! 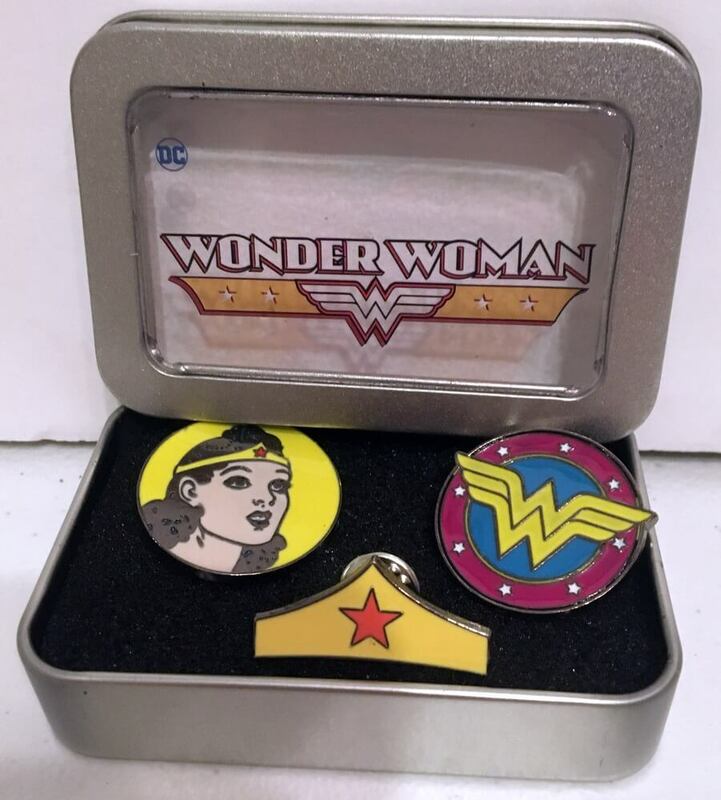 The final item in this World’s Finest box is this pin set in a tin. 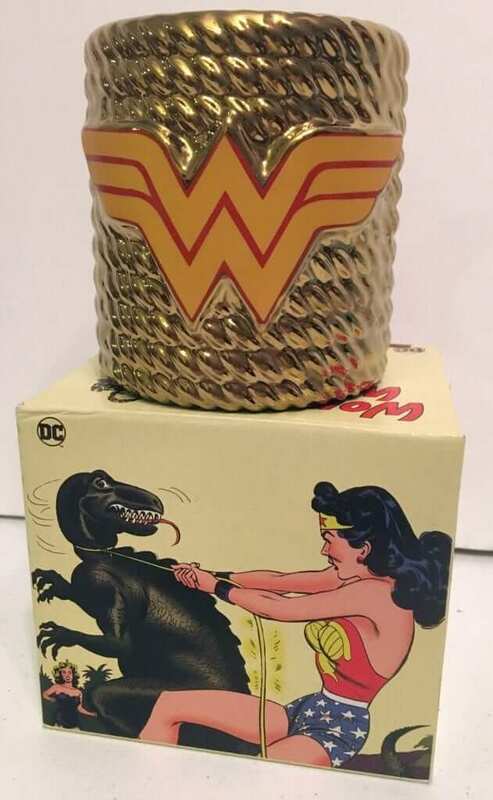 There are three pins related to Wonder Woman and a nice tin to keep them in. Again, tins are always good for storing small objects. And, there you have it! 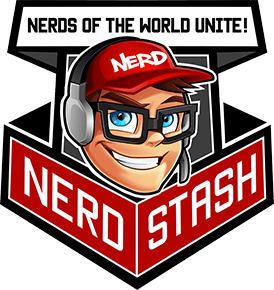 This was our first look at the World’s Finest: The Collection box and I must say, I’m impressed! There is quite a bit of “swag” in this box and it’s all pretty cool stuff. 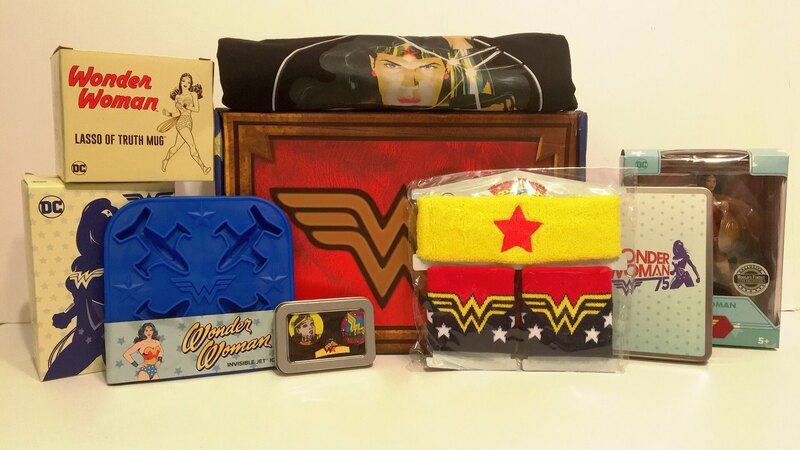 If you’re a DC Comic fan and like to get collectible items and apparel, this box is for you. 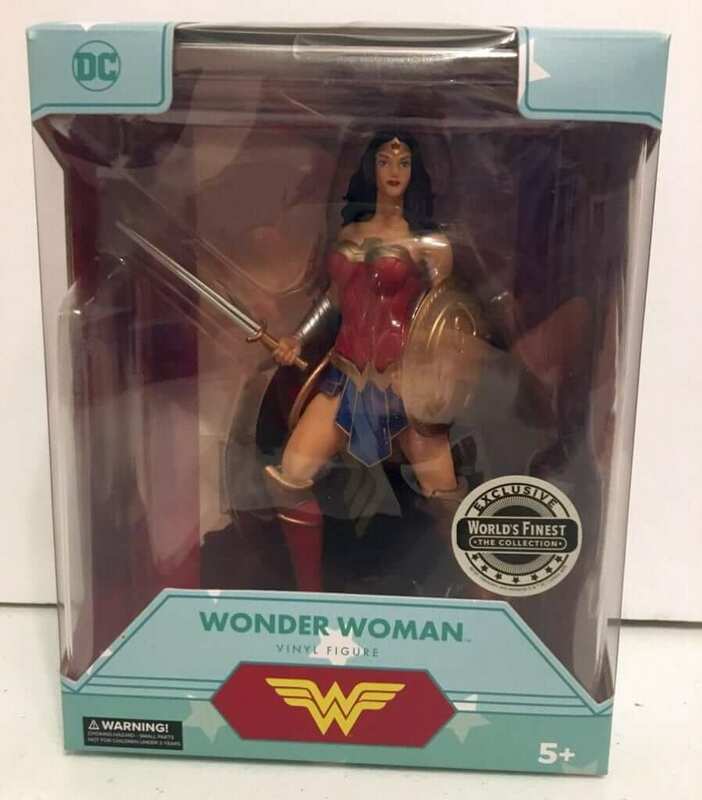 The Wonder Woman box was Issue #2 for them. Right now, they are taking orders for Issue #3 which has a Justice League theme. This box will start shipping Mid-March so, head over to their website and get it ordered!